Wagyu beef is intensely marbled with softer fat, has higher percentages of monounsaturated fats, omega-3 and omega-6 fatty acids and is lower in cholesterol than commodity beef. The combinations of these fats deliver a distinctive rich and tender flavor compared to other beef. The most exclusive Wagyu in the world comes from Kobe, Japan. People use the terms Kobe and Wagyu beef interchangeably in the U.S. thinking it refers to the same premium imported Japanese beef, when it does not. Many restaurant menus feature “Kobe Burgers” or “Kobe Steaks”. The internet is flooded with on-line companies offering Kobe Beef, Kobe Burgers, Kobe-Style Beef, and Wagyu beef. The truth is authentic Kobe beef is very rarely seen on restaurant menus in the USA. Legitimate Kobe beef is priced around $200 per portion for a steak, and $50 for a burger. If you see something on a menu referred to as Kobe priced less than that, it is most likely domestic or imported Wagyu. Kobe A city in Japan and the capital city of the Hyōgo Prefecture. Kobe is also considered a region of Japan like Champaign is a region in France, and Parma is a region in Italy. Wagyu Japanese or Japanese Style Cattle. Japanese cattle consist of four breeds: Japanese Black, Japanese Brown, Japanese Poll, and Japanese Shorthorn. Ox-like in structure, these breeds are bred for field work. Tajima-Gyu The cow that Kobe beef comes from which is classified as a Japanese Black breed. Kokusan-Gyu Refers to cattle which are raised domestically in Japan. Regardless of the country or breed, cattle are classified as “Kokusan-Gyu” if they have spent more than half of their life in Japan. Japanese Meat Quality Score Japanese quality meat scores are qualified by four factors: marbling, color and brightness, firmness and texture, and fat color, luster and quality. Each factor is graded from 1 to 5, with 5 being the highest score. BMS is a score rating given to red beef for the amount of intramuscular flecks of fat which give the meat a marble like pattern. Under Japanese law, Kobe beef can only came from Hyōgo prefecture (of which Kobe is the capital city) of Japan. Kobe cows are fed a special diet of dried pasture forage and grasses such as rice straw with nutrition-rich feed supplements made by blending soybean, corn, barley, wheat bran, and various other ingredients. They are not fed pasture grass. • Breed of cattle is pure lineage Tajima (Tajima-Gyu), between 28-60 months of age, born, raised and slaughtered in the Hyogo Prefecture of Japan. • Certified as having a yield score of A or B. 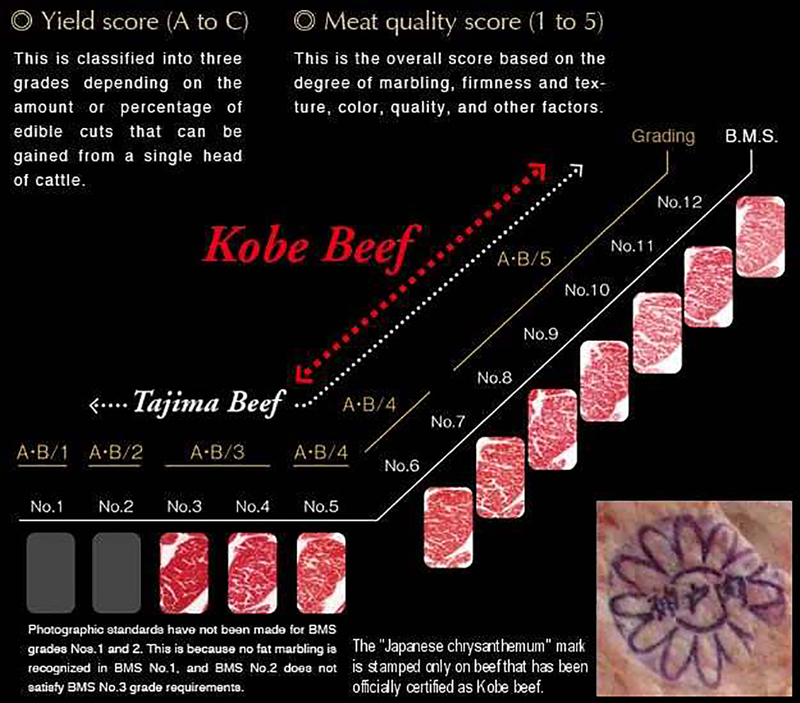 • Japanese Meat Grading Association quality score of 4 or 5. • BMS score of 6 or higher on the Tajima-Gyu marble grading scale of 1-12. • Has the “Japanese Chrysanthemum” seal officially certifying it as Kobe Beef. This certification process is so strict that when the beef is sold in stores and restaurants, it must carry a 10-digit number to identify the origination of the Tajima-Gyu cow. Japanese beef was actually banned from being imported into the United States from 2009 until August of 2012. (The “first-ever” Kobe shipment is now on its way to the US according to Meating Place.) 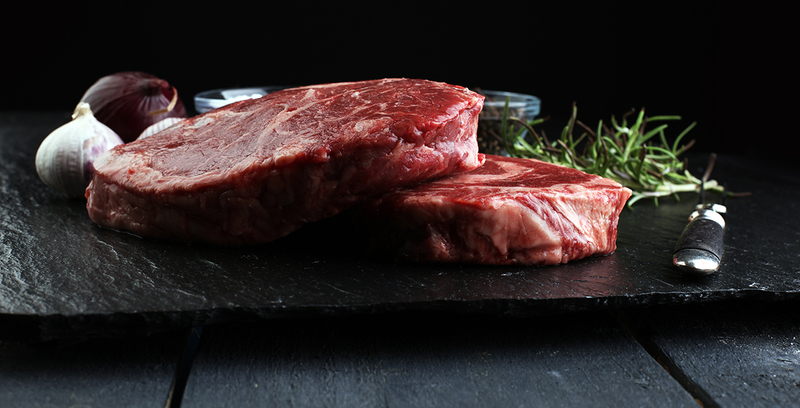 What we see most of domestically, is American Wagyu or Australian Wagyu (Kobe Style) beef. Australia first imported Wagyu in 1990 and began a breeding program using artificial insemination. In the mid 1990’s Australia imported full blooded Wagyu bulls and cows from the United States to enhance their Wagyu breeding program. Over the years, the Australian Wagyu breed has gained in strength and popularity for intense marbling and taste. Different from the USDA and Japanese grading systems, the Ausie marble scoring range is 1 to 9 +. One of the most notable brands of Australian Wagyu beef is marketed under famed professional golfer and entrepreneur Greg Norman. 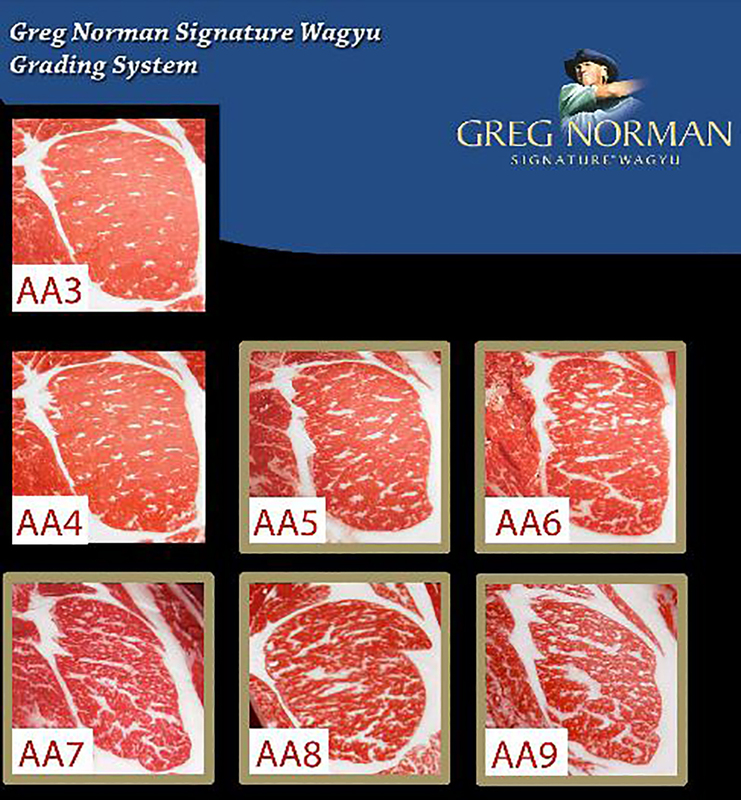 Greg Norman Signature Wagyu beef is sold under BMS 5-11. There are Canadian and European Wagyu producers, but most of the US market is supplied through Australian imports and domestic purveyors. 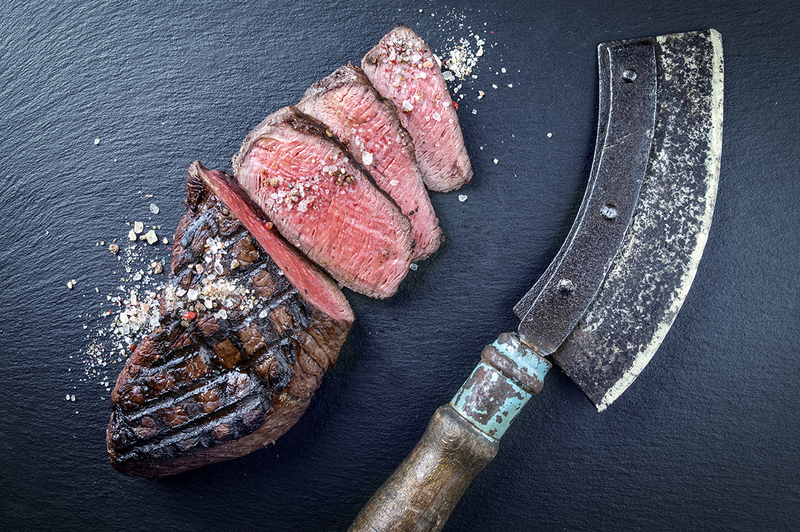 Uber expensive and delicious, Wagyu’s American popularity is growing. Remember, true authentic Japanese Kobe Wagyu is still a rarity in the US. When you see it on it a menu, judge it by price. Ask your server if they can attest to the Kobe quality. If their response is at least somewhat knowledgeable to facts in this article, odds are it is authentic.